Boys. Girls. More boys. Love. A high school musical. The magnificent Tiny Cooper. John Green. David Levithan. Two Will Graysons. In chapter one you meet Will Grayson who just wants to get through high school unnoticed. He lives by two very simple rules: ‘1. Don’t care too much. 2. Shut up.’ However that’s impossible for the best friend of Tiny Cooper – the most magnificent, largest, gayest high school football player you could possibly imagine. In chapter two you meet the other Will Grayson, who is constantly torn between killing himself and killing everyone around him. 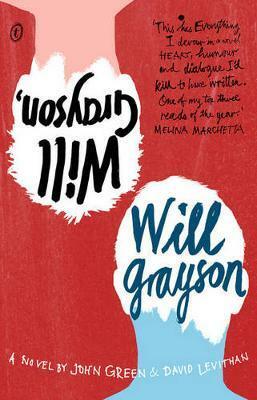 The convergence of Will Grayson who wants not to care, and Will Grayson who wants to care but can’t, and Tiny Cooper who knows love is real ‘because I feel it’, is the catalyst for a laugh-out-loud, cry-out-loud story about love and connection in all its forms: romantic, platonic, gay, straight and most importantly, musical. You have to read this book, because who doesn’t want to know what happens in Tiny Dancer: The Tiny Cooper Story, a musical extravaganza?